But charging it in appropriate charger with individual cell charge is better than any controller inside can do. 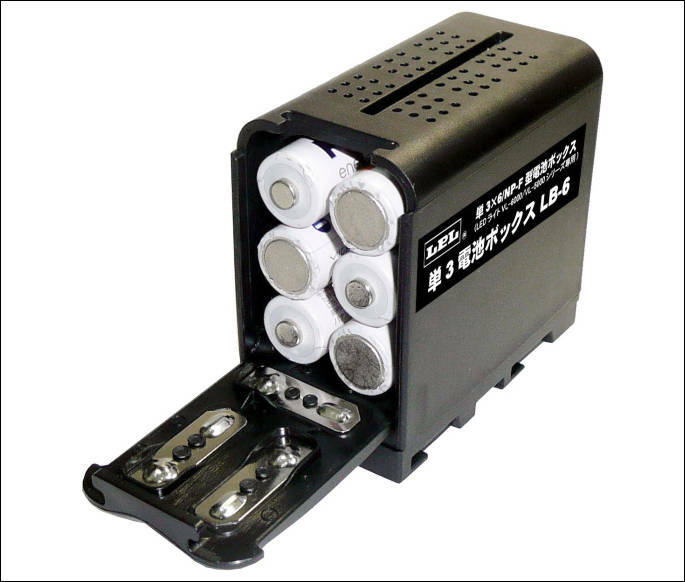 The Frugal Filmmaker did a video on the Falconeyes version of this battery case. Note that he had to slightly taper the edges of the locking flange (with a nail file/emery board), to get the Falconeyes case to slide into his battery cradle.